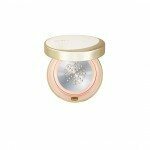 MISSHA Geumseol[Golden Snow] Tension Pact, 17g, Korean cosmetics. 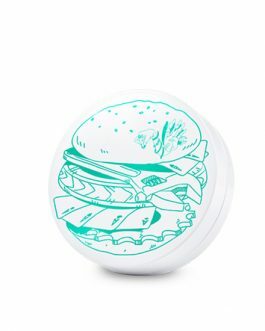 Free shipping to worldwide (order above $50), 100% safe shipping. 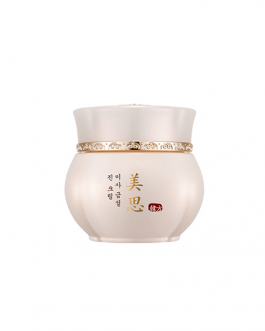 Missha Geumseol[Golden Snow] essence in pact. 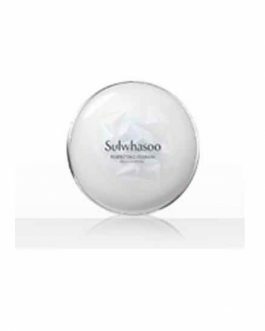 Skin’s natural glow and beauty as if applied enriched nourishing cream. 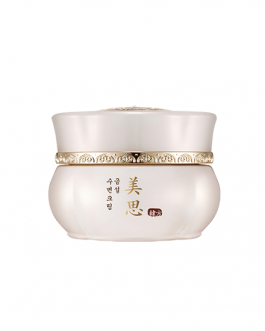 High nourishing: Ferment ginseng water 36% contained for long lasting hydration. High cover: Perfect, smooth cover. 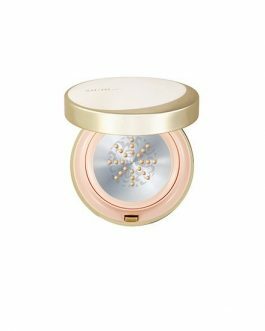 Tension net with 2 layer-layer structures which makes more delicate makeup possible. I loooove this cushion. It wears so pretty on my skin. It does not look cake and has a medium coverage. The cute package is a plus! I does have and average wear longevity. I absolutely love this formulation because it’s dewy and long wearing. It lays beautifully smooth over your skin and it’s not so heavy that you can feel it on your face. The only downside to this is that I got the wrong shade 🙁 I am usually a korean shade No. 23, light with yellow undertones, but the shade 3 is way too orange and dark for me. I think this would suit a person with light medium skin with warm undertones. Love this cushion! 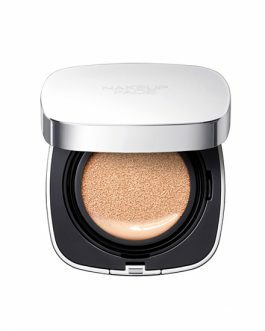 It’s much more lightweight than the Missha Magic M cushion which I prefer. The coverage is light to medium, but enough for me. If I set it with a powder it is long-wearing without caking. 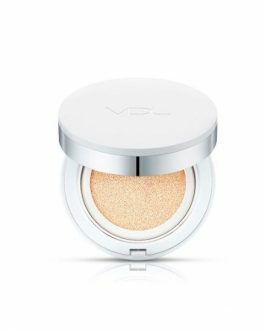 The finish is very natural, not too dewy and not too matte. Definitely my go to cushion at the moment! This cushion was one of my first cushions and first of all I love the packaging, it looks very high end. 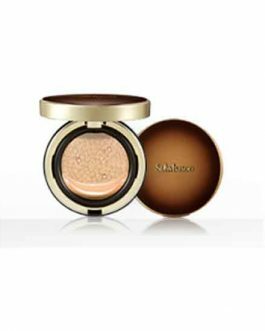 The coverage is mostly light to medium and it gives a dewy finish but leaves a little sticky feeling but it does well in cold weather. It does stay on all day and that is something that is not that common in cushions. Besides the stickiness I think that this is a great cushion to have. 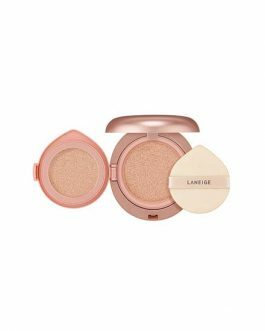 I have medium yellow toned skin so it’s usually hard to find a good color from Korean brands because 23 is usually too light but then not a lot of cushion brands carry 25 or 27. I’m still not sure which one is my color since I can’t find sites where I can get those colours for cushion brands I wanted to try. The number 3 of this cushion saved me because it’s actually darker than the usual shades Korean brands have! Usually 3 looks like 23 but I think it might be 25 in this case because it fits my skin tone! It’s a little bright at first but it eventually darkens a little. It’s also moisturizing and a bit sticky. I’m going to change the puff soon and see how it works with other puffs but the one that comes with it isn’t very soft. The first time I tried it, it was amazing. But recently, it’s been caking up and by the end of the day, I look like I have spots of foundation near my chin area and my jaw. I don’t know if it’s the cold weather (I’m in Canada) but it’s really disappointing. 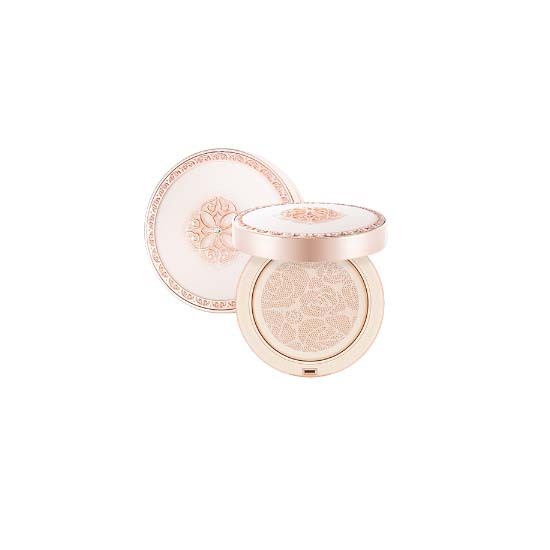 I’m hoping it’s just the weather or my recent skincare routine (I ran out of my trustworthy cream and have been using a different one ever since th first use) but I know it’s a really good cushion for normal skin types. I just hope I can make it work better this coming summer! It’s still worth a try though! This is a nice cushion but I was expecting a bit more for the price. 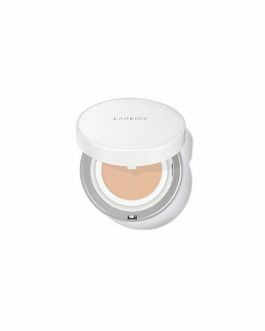 The cover is low and it keeps the skin looking nice and clean for the most part of the day but I’ve used cheaper cushions and bb creams who did a better job. Also, it feels a little heavy on the skin, even with a light amount.